I found a recipe that is SO easy and delicious, I HAD to share it with you. Bonus: it’s Mexican. Trifecta (again) in my life!! Vegan friends, or friends who are out of chicken, you can make it by using white beans or garbanzo, and vegetable stock. Maximized Living Advanced Plan or Paleo friends, this may have too many beans for you, depending on your starch tolerance. Hop on over to The Humbled Homemaker’s recipe for Easiest Chicken Tortilla Soup Ever then come right back here to get my extra tips for making this ORGANIC and/or making it with a little extra nutrition I added (and a substitution). “ONE-POT STOP” here: Pour some organic free-range chicken stock into your pot. Homemade stock/broth is your “best” here, but do what you can. I used a box tonight and felt not one bit of guilt. I also ADDED a spoonful of crushed garlic to the stock, because I try to add garlic to ANYthing I can, for extra nutrition. If you don’t have stock, you could just use water, but I would definitely add garlic for more flavor in that case. Of course I used organic free range chicken breasts. Two were plenty for this recipe. I cut them into very small pieces, cause who wants a big ol’ chunk o’ chicken to have to gnaw on, when this is “soup”?! I cut up my chicken before I boiled it to save time (didn’t want to have to wait for boiled chicken breasts to cool before cutting/shredding). 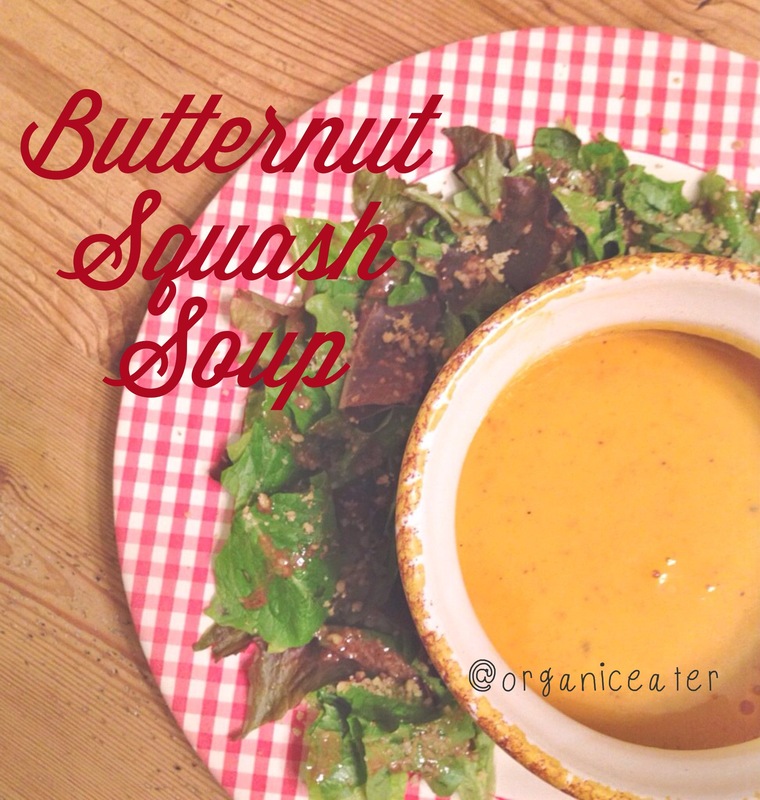 which is NOT organic, but IS delicious and I think it was the “secret sauce” in how it turned out so fabulously!! 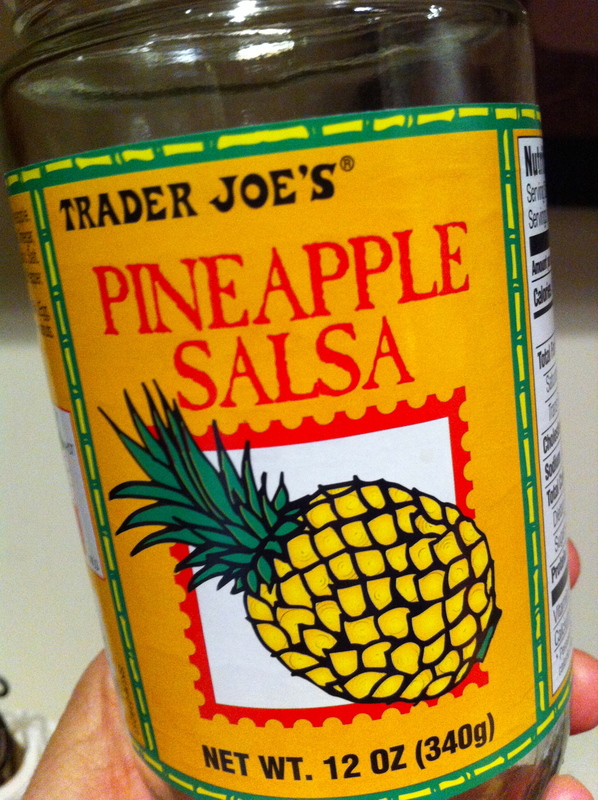 Pineapple has fructose, so some will need to add a no-sugar salsa instead. I only had one jar, so…… I improvised and threw in half a jar of Trader Joes Marinara sauce (hey, it’s tomatoes, that’s all I cared about. And now my soup is Italian Tortilla soup, but that’s OK). I may not change that when I make this next time, cause it was soooo good! Again, home-made salsa would have been healthiEST, but I was in a hurry tonight and that is life. Then I added the rest of my box of chicken stock and some s&p and let it cook about 5 minutes. THAT’S IT!!!! Chicken, stock/water (& garlic), salsa (marinara), beans. It could not be easier. I think this would work great in a crock pot too, so let me know if you try it that way. 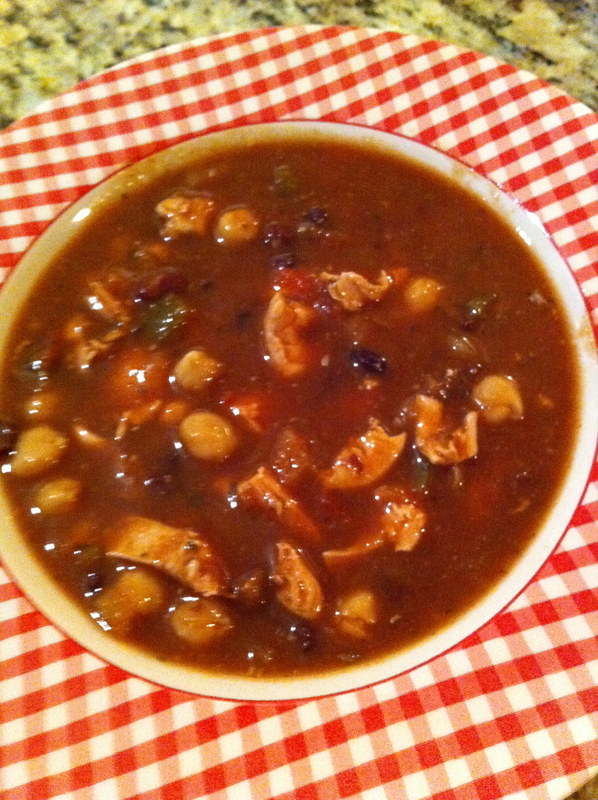 Another way to make this quickly is to have your chicken and beans and salsa ready the night before, then all you have to do is throw them in the pot with the stock. Done. You’re welcome. If you have time, you could add homemade grain free tortillas from Mark’s Daily Apple, or Cheddar Biscuits from HomeCookedHealthy, which is my new favorite grainfree bread to keep in stock around here. Quickfix: organic blue corn chips (small amount!). The soup is good enough all by itself, though. The Print Friendly button will let you print only what you want to print from this post.